← Can Ontarian’s afford more PC long-term care? Ontario Hospital President and CEO Tom Closson is stepping down from his post in January 2012. 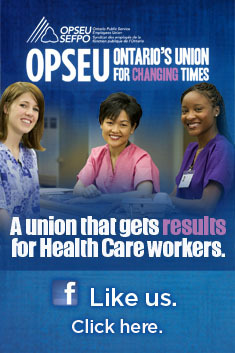 He is still planning to lead the OHA through the October provincial election and the immediate post-election period. The election may be an interesting dynamic given Closson is on record as advocating for more money to be taken out of the system at a time when politicians of all stripes are advocating staying the course and maintaining modest funding increases. Closson praised former Premier Mike Harris and his restraint on the system, never taking into account its longer term effect on his own membership or its impact on present-day costs. At a time when his hospitals were struggling to balance budgets and find ways to push more patients with higher levels of acuity out into community care, Closson instead spoke about eliminating waste. The Empire Club speech was certain a surprise. Months earlier Closson told the provincial finance committee that progress on wait times and public confidence in the system would be eroded with less than a two per cent increase in funding. Closson fought publicly with the Ontario Medical Association in 2009 over Bill 179 which expands the scope of practice for pharmacists and nurse practitioners. Confrontational, Closson publicly derided the OMA’s “retrograde ‘policy’ paper” and accused them of protecting their own turf. Arguing physician costs were higher in Ontario than any other province, Closson’s wrote “this disparity, coupled with OMA’s adamant defence of physicians’ status, has prompted reasonable people to question whether taxpayers are getting the system leadership they deserve from the OMA.” Ouch. Closson was never shy about pressing the alarm bells on rising health care costs, nor was he shy about extolling the results of such increased expenditures, particularly around reduced wait times. Under his watch targeted funding became a greater feature of hospital budgets while global funding was in decline. With Queen’s Park determining how the money would be spent, it left hospitals with fewer opportunities to make decisions locally. While hospitals were forced to come and explain themselves before the LHINs, bringing in so-called “hospital improvement plans” that included major layoffs and cuts to services, Closson remained a staunch defender of the planning agencies and their role. Closson was never shy about advocating that more of the work performed by hospitals be conducted elsewhere. “The answer is in the community,” he has said, often repeating the story of his father who was unable to leave hospital for five months due to an inability to place him in community-based care. Following the ombudsman’s damning June report, the McGuinty government promised to regulate private hospital transfer companies. Closson was warned about the dangers of this unregulated business in 2009 – including unclean vehicles, poorly-trained staff and risk of infection — but was indifferent to concerns when confronted by investigative journalist Tina Pittaway. He told Pittaway the hospitals were satisfied with the arrangement and that the OHA had bigger issues to deal with in the health system. This is despite the OHA calling for regulation back in 2004. The OHA has been obsessed in recent years with the idea of moving so called “alternate level of care” patients out of hospitals. ALC patients are those who have completed their acute care treatment but are unfit to go home without ongoing care. Under pressure, several hospitals threatened these patients with steep daily fees if they did not take the first long term care bed available – even if it meant travelling outside their home region. The threats backfired, resulting in the province having to step in to ban the practice. Hospital crowding has likely been a determining factor in the latest crisis. C-Difficile has spread through about 10 per cent of Ontario hospitals contributing to at least 26 deaths. At least two hospitals — the Etobicoke General site of the William Osler Hospital and the St. Mary’s Hospital in Kitchener — have also reported bed bug infestations. Closson was appointed CEO and President of the OHA in 2008. An engineer with an MBA, he has served as CEO of the University Health Network, Sunnybrook Health Sciences Centre and CEO of the Capital Health Region in Victoria, BC. Thanks for this. Re-posted to Every Patient Matters on Facebook. We’ve had our interactions with Closson about the hospital secrecy clause – see http://impatient4change.blogspot.com/2011/05/truth-about-ohas-truth.html and http://impatient4change.blogspot.com/2011/05/more-truth-about-ohas-truth.html . I also found a press release by Closson where he wrote that he is behind the Niagara Health System every step of the way (in regards to their hospital improvement plan, circa 2008).